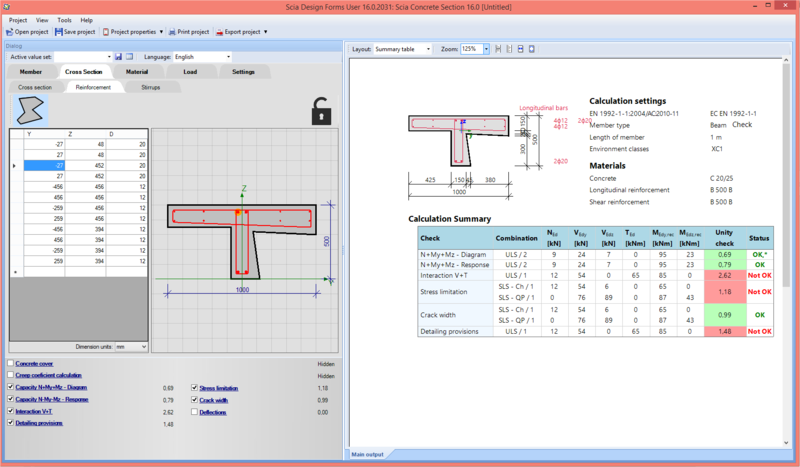 With SCIA Concrete Section, the structural engineer can easily and quickly design, check and optimize reinforced concrete sections. All required data are easily input in clear dialogues. 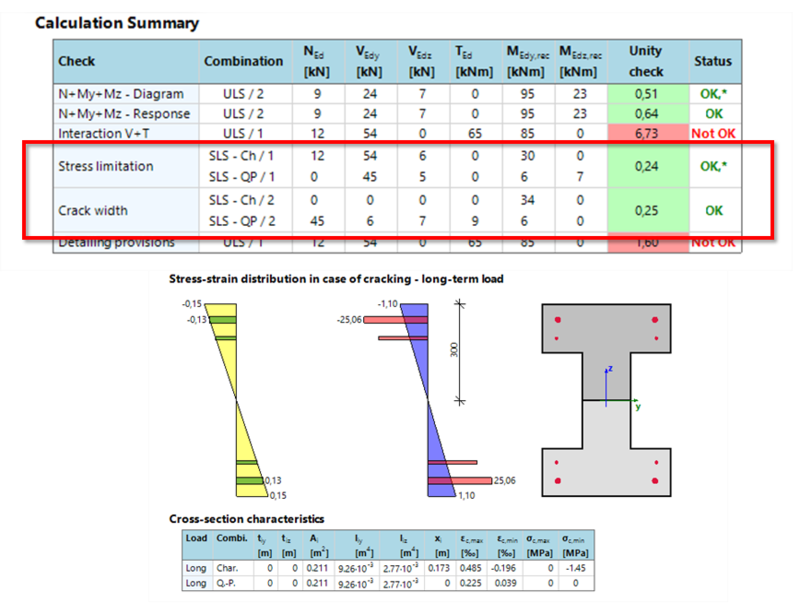 for serviceability limit state: stress limitation of cracks, crack width, deflection. 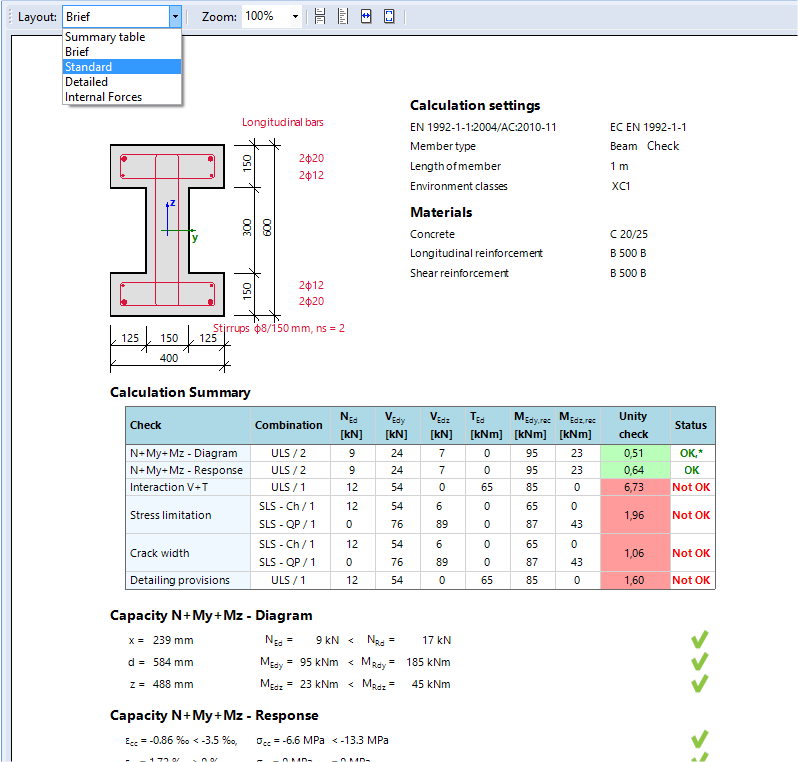 The report shows all the calculation steps and lists the formulas stipulated in the code (EN 1992-1-1) that were used in the displayed checks. Depending on the needs, a suitable level of detail can be shown. 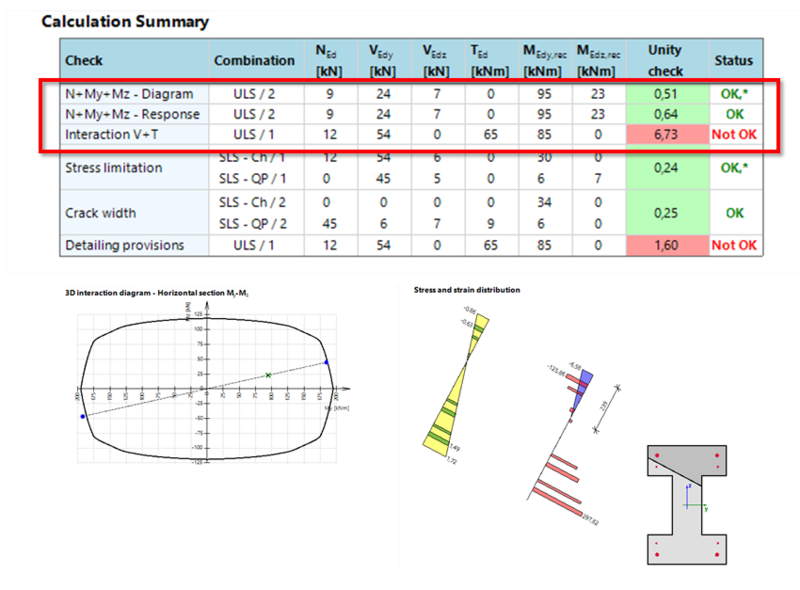 In SCIA Concrete Section all cross-section shapes from SCIA Engineer concrete-cross-section library can be verified. Reinforcement in typical sections (e.g. rectangle, circle, T, etc.) 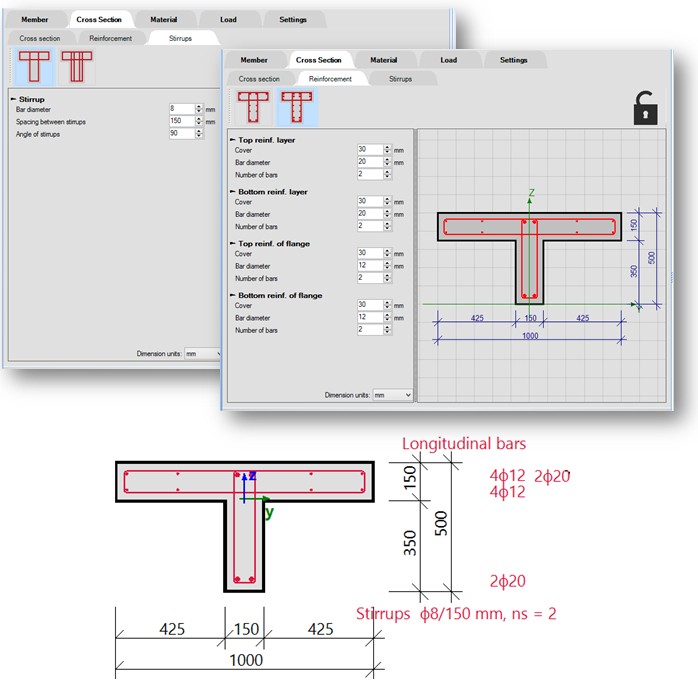 is easily specified using predefined templates for common arrangements of reinforcement in a section. 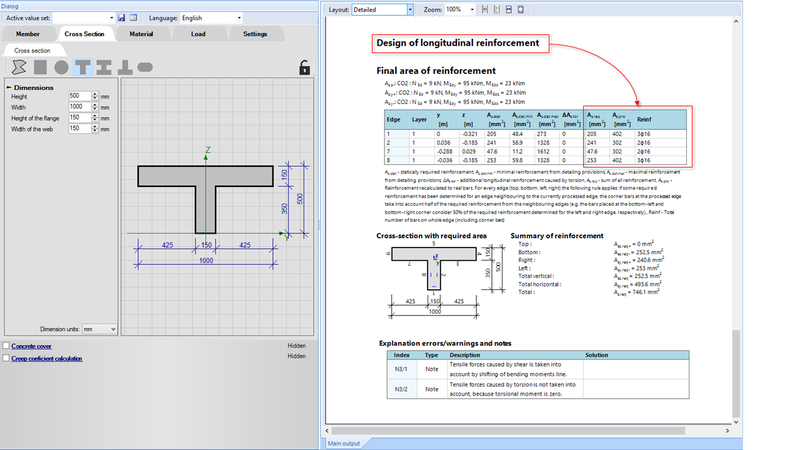 For other than typical sections and for configurations requiring more complex arrangement of reinforcement, a clear dialogue allows the engineers to specify whatever reinforcement is required for a particular section. 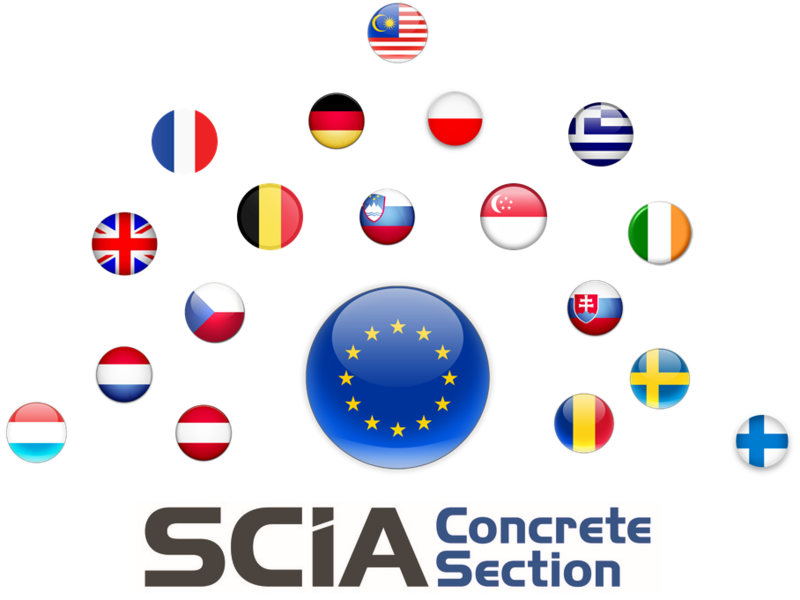 SCIA Concrete Section performs calculations according to EN 1992 including the support for 18 National Annexes. 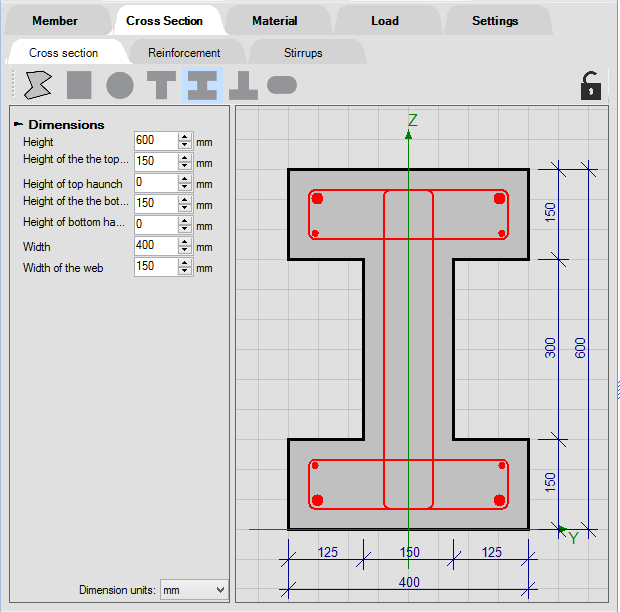 General cross-section shapes and arbitrary reinforcement positions. Combination of normal forces, biaxial bending moment and biaxial shear forces. Input of multiple sets of internal forces (or support of multiple loading sets per limit state).